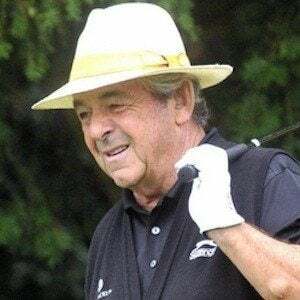 He played professionally from 1962 to 2004, and won two Majors: The Open Championship in 1969, and the U.S. Open in 1970; inducted into the World Golf Hall of Fame in 2002. He attended Henderson Avenue Primary School, where he began to develop his golfing skills. At the time of his retirement, he was the most successful European Ryder Cup captain ever. He married Vivien Jacklin in 1966, but she died in 1988, and he married Astrid Waagen later that year; he raised three children with Vivien, and one with Astrid. He is well known for a touching moment with Jack Nicklaus, when the two walked off the course together after tying the 1969 Ryder Cup.